God's third wife came along just as he began to come into his Almighty phase, having by then fathered a son by his second ex-, Mary. His exploits were by then receiving more broad distribution and he'd become a dude, though duding's not always all it's usually cracked up to be. He was said to be all-seeing as well as all-knowing, but I suspect that omniscience carries a certain isolation if you're the only one holding those superpowers. It remains tough to find buddies with whom to go out for beers and, as anyone knows who's ever subscribed to cable, even with all those channels, nothing's ever on when you finally find time to sit down to watch. Humans turned out to be more selective than He perhaps intended them to be, surrounded by more stimuli than their combined senses usually seem interested in or capable of absorbing. I suspect that even the All-seeing One simply spaces out sometimes. We all space out sometimes. We report with significant omissions. We observe with extreme prejudice, usually more with an eye to preserve and extend beliefs we already hold. We more often see what we believe than believe once we see. We're skeptical, but hardly skeptical enough to serve us well enough. Our vision seems to blind us at least as much as it informs us. We seem more blind than we know. Fortunately, a sort of blindsight supplements our meager visual acuity, enabling us to sixth-sense more than we might otherwise see. Barry Oshry listed what he labeled The Blindnesses. I am blind because I am here, not there; me, not you; presumptive more than blank-slate observant. 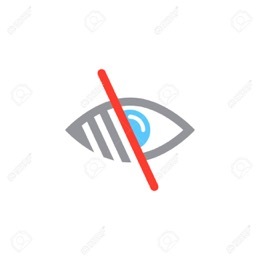 His most virulent form of blindness arose from the conviction that one is not blind, and this notion qualifies my first Ethical Responsibility, ConsciousBlindness. It might be that the more powerful I feel, the more confident I become in the adequacy of my visual field. When less powerful, I might underplay my personal acuity, but both conditions represent forms of blindness. Nothing in my sensory experience lends a clue as to what's missing, what's not there, but I might be better served by consciously holding the presumption that I'm only ever aware of a part of any story. I understand myself to be fully capable of invisibly filling in any obviously missing puzzle piece. The rest, rather like The All-seeing One, simply escapes me. Why do I consider ConsciousBlindness an ethical responsibility? It injects a touch of doubt from which I might benefit. I try to maintain that narrow line between suspecting enough to become cynical without crossing that line into cynicism, but I feel better informed when I presume that I'm less than fully informed. I'm just as capable as anyone of amplifying my certainty, the resulting experience often reminding me again of the beneficence that a touch of ConsciousBlindness provides.